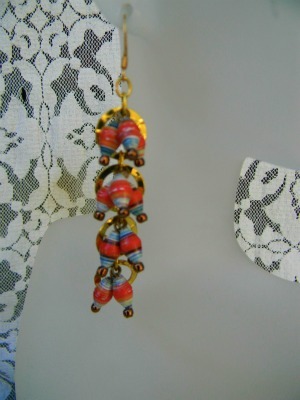 Aside from being a Fall Color, orange is my favaorite color; sunset, fire, citrus, balloons……The petite olive paper beads in this earrings are just the perfect orange with swirls of of beige and blues. 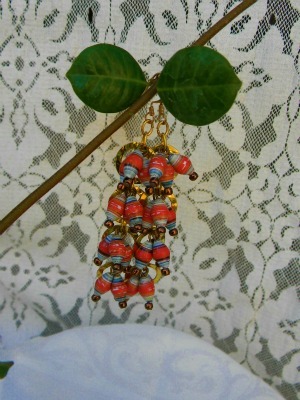 I had an outfit in mind when I made this, I think it’s great that you can accent any outfit you have with paper beads. Just perfect for Fall don’t you think? These are super cute Janice! I really like these colors. beautiful colors Janice ! These cascade earrings are perfect …..